Nortec has introduced billing services at 2.9% of your collected revenues. This in exchange brings further profit of 3% to 9% into your business, so it expands your viability and sustainability. In addition to this low rate, you will get the all-inclusive EHR application for free. 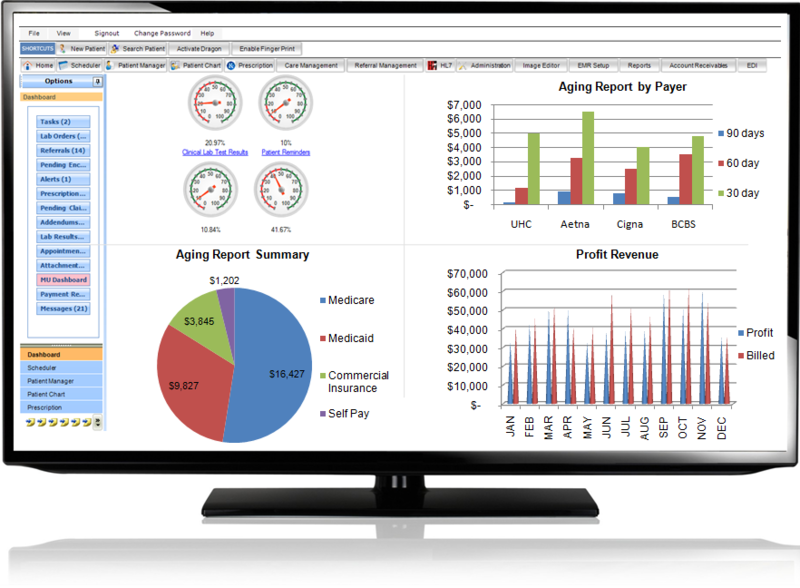 Nortec EHR v7.0 is an all-in-one solution, a complete EHR, including Practice Management and Electronic Medical Record. Nortec encourages the practices to use its embedded billing module so that the practice keeps even the 2.9%, increasing the financial health of the practice. This capability provides you full freedom to enjoy the benefits of the system in a cost effective manner. Nevertheless, for some practices the in-office billing can be stressful for human resource department. For such practices, Nortec offers Revenue Cycle Management Services to streamline internal challenging plans. Our back office Billing Experts work directly on the Nortec EHR application in the most efficient, secure and cost effective manner. Various customized and graphical reports shown on the dashboard equip the practice with complete insight on the financial growth of your practice at any given time. Billing Experts at Nortec are experienced with State Specific Billing rules, coupled with the state of the art secure automation, which enables us to offer this premier service at very competitive rates. Nortec EHR is ICD-10 ready and transition is going to take place in a seamless manner. Our professional team members can prepare your organization for the upcoming transition and this will save your 100% cost of ICD-10 training. Electronic Medical Record(EMR) Free EMR!